On April 1, the Homeless Children and Youth Act (H.R. 2001) was reintroduced in the U.S. House of Representatives by Congressmen Steve Stivers (R-OH) and Dave Loebsack (D-IA). 1. Urge your U.S. Representative to sign-on as a co-sponsor of H.R. 2001. 2. Sign your organization on as a supporter of HCYA here. 3. Spread the word to community partners, colleagues, and others. HCYA Social Media Toolkit. 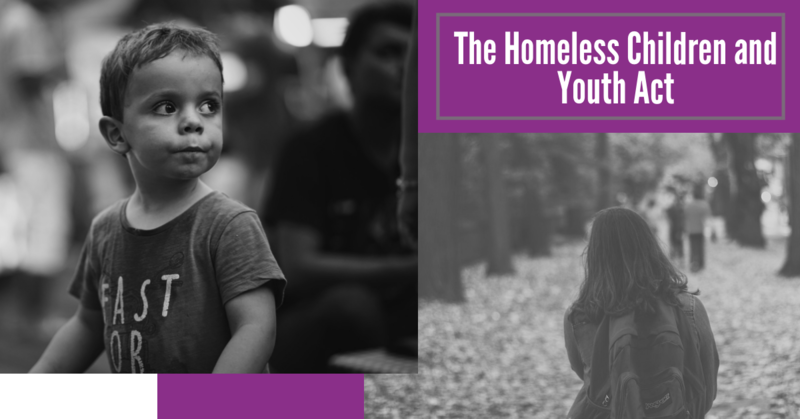 Get the facts about the Homeless Children and Youth Act, including frequently asked questions, the full text of the legislation, and a list of supporters.